What’s the best tour from Marseille ? This is a frequently asked question very complicated to answer. Here I will try to help you choose the best excursion to enjoy a day in Provence from Marseille. Above all it depends on your main interests. Here are my top 5 recommendations for your perfect tour from Marseille. 1) You want to see as much as possible. In this case I must recommend to tour Aix en Provence, Marseille & Cassis. From your hotel or your cruise ship in Marseille this tour needs 7 to 9 hours. Having 9 hours allows to spend a little bit more tie in each place. The drive from Marseille to Aix en Provence from the cruise terminal is only 30 minutes. In Aix en Provence there is a lot to explore. I love Cézanne’s Studio and the Cathedral, but just walking around in Aix en Provence is delightful since the city is very clean, rich, full of fountains and 17th century palaces. Also you shouldn’t miss the daily market. From Aix en Provence to Cassis is a 45 minute drive passing by superb landscapes. First on the way to Cassis is the Sainte Victoire mountain painted by Cézanne. 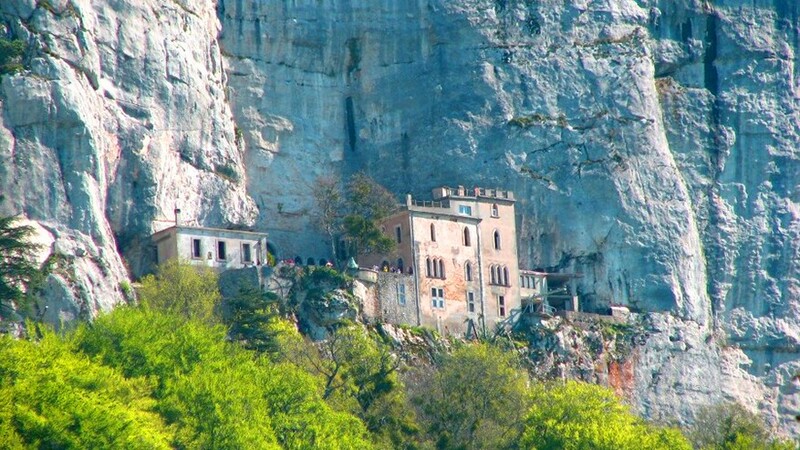 Then is the Sainte Baume mountain where Mary Magdalene used to live. But the best is when you arrive in Cassis from the highway. The view from the road over the small valley and the creek nested between the rocks is according to me the best on the coast of Provence. I am on this away about 250 days a year and I am always telling to myself how lucky I am to live here each time I see this landscape. In Cassis the best is to first stop on the top of the Cape Canaille, the highest cliff over the sea in France. The Cape is overlooking the bay of Cassis, the village of Cassis and stands in the middle of the Calanques National Park. From the Cape Canaille you can go down to Cassis for a wine tasting. Cassis is specialized in white wine. It is considered among the best white wines in France. You can also have a little tour of the village and its port. 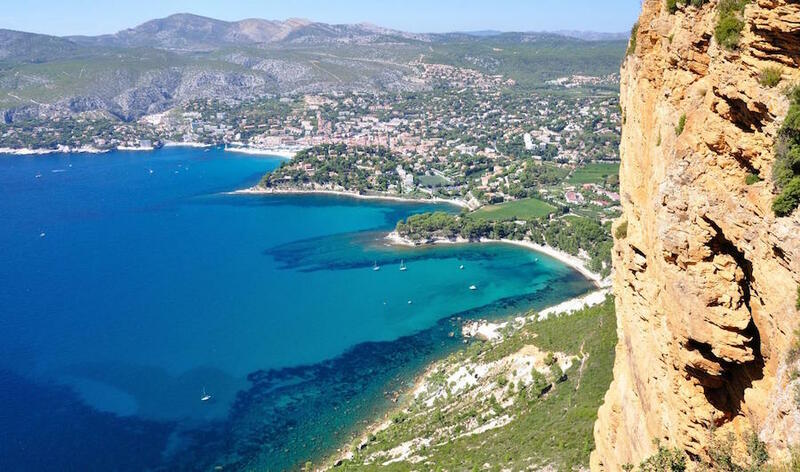 The must in Cassis is to take a boat tour into the Fjords of the Calanques National Park but for this activity you better spend a full day in Cassis. The small road connecting Cassis to Marseille is called La Gineste. When you enter Marseille from la Gineste you can enjoy a superb view over the city. Indeed La Gineste is the only road crossing the National Park mountains between Cassis and Marseille. Marseille is so huge that a panoramic tour as the must. Passing by La Corniche you will follow the coast line with picture-perfect views on the islands of Marseille and the famous Château d’If. You can’t be in Marseille without going to the holiest monument in the city. Notre Dame de la Garde Basilica offers the best panorama over all Marseille since it is built upon the highest hill in the middle of Marseille. You can finish your tour spending a little bit of time on the Old Port of Marseille drinking a local Pastis, tasting some sweets or shopping. 2) You love art because it gives you emotions ! From Marseille if there is one and only one art exhibition you must not miss, it is the Carrières de Lumières in Les Baux de Provence. It is always hard to describe. Imagine entering inside the mountain into a limestone quarry used during 2000 years. And suddenly you are in the middle of paintings that are on the walls, the roof, the floor and moving ! Paintings are alive and dancing with music and you are inside the paintings. Just outstanding ! This year in 2019 the exhibition is about Van Gogh. Do not miss it ! Then we will go to Les Carrières de Lumières for the special Van Gogh exhibition. We will finish the tour in Saint Rémy de Provence by the Asylum of Van Gogh called the Monastery of Saint Paul de Mausole. Van Gogh never stopped painting during his stay in the Asylum. Inside the Asylum we will see many of his paintings but also understand how patients were living and what kind of treatments they received there. Entering the bedroom he had in the Asylum is for me a travel in outer-space. Outside the Asylum dozens of Van Gogh’s painting reproduction are shown where Van Gogh made them. For me it is a highly spiritual voyage to touch the soul of the artist. This tour is definitely my favorite since I am a big fan of Van Gogh. The jewel of UNESCO Heritage in Provence is Avignon. The entire city is included into UNESCO World’s heritage especially for its Popes Palace but also for its bridge, Le Pont d’Avignon. From Marseille we can be in Avignon within 1 hour. We will explore the Popes Palace together. It is journey back to the 14th when the Popes moved from Rome to Avignon for many different and complicated reasons. The story involves the Italian Civil Wars, the Hundred Years war, the King of France Philippe The Fair and the Knights of the Temple. 1H30 to 2H00 hours are necessary to completely explore the Popes Palace. After the Popes Palace visit let’s walk on the oldest bridge of Avignon: Le Pont d’Avignon from the 12th century. 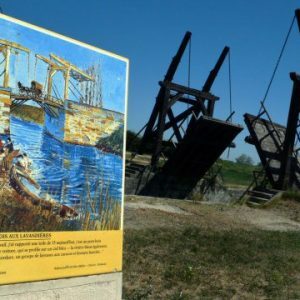 In the past it was the only bridge to cross the Rhône river in the south of France. That is why this bridge was so important. 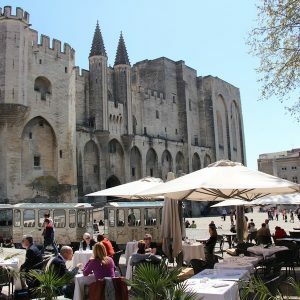 During our exploration of Avignon we will also walk on the 14th century city walls, walk into the Popes Gardens offering the best view over the Rhone river valley, visit the cathedral Notre Dame des Doms were 2 Popes are buried and walk across all the UNESCO city to its covered market. For a perfect day exploring UNESCO sites in Provence we have 2 options from Avignon. First we can go to Arles. Arles is not only the city of Van Gogh but also used to be the city of Julius Caesar more than 2000 years ago. It offers a superb Roman heritage. the 2 main UNESCO Monuments are the Roman Amphitheater and the Roman Theater. Another jewel of UNESCO heritage in Arles is the cloister of the Saint Trophime church from the 12th century. This cloister is a pure spiritual place decorating with sumptuous sculpted columns from the 12th century Romanesque art. The second option is the biggest Roman bridge left in the world known as Le Pont du Gard. 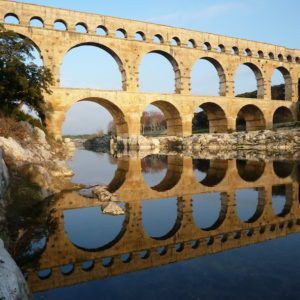 This bridge crossing the Gard river was formely a piece of a 50 kilometer long aqueduct bringing water to the city of Nîmes. After the fall of the Roman Empire the aqueduct was progressively dismantled but this piece remained since people kept on using it as a bridge to cross the river. Later a road was even build on it. Nowadays a UNESCO site, the monument is protected and only open to walking people. Le Pont du Gard is maybe the most impressive piece of Roman Engineering left in the world. After walking by the bridge (and also inside the bridge if you want…), we will visit the Museum of Le Pont du Gard explaining all the details of its construction techniques. Both Arles and Pont du Gard options are 30 minutes from Avignon. 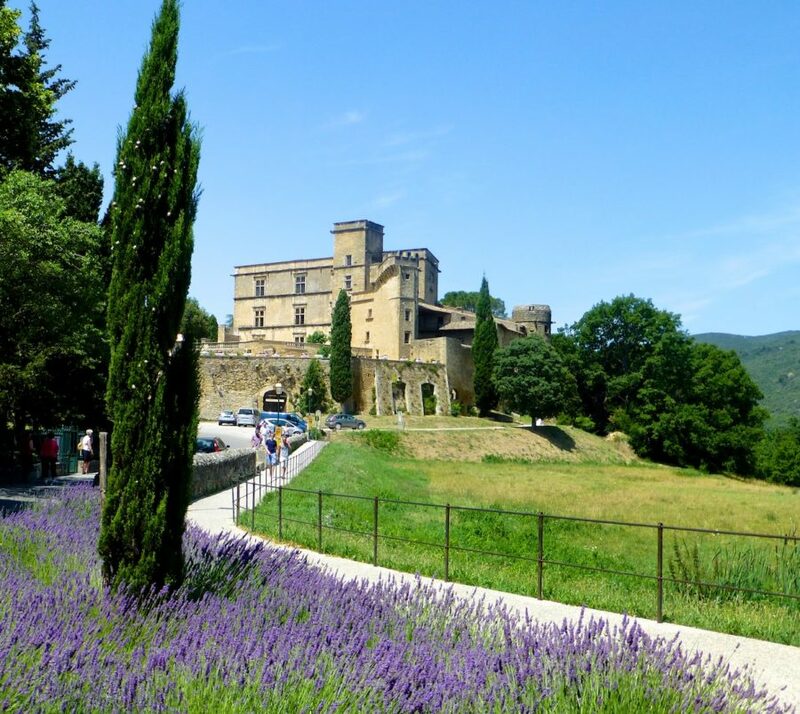 So we can have 2 perfect day tours about UNESCO heritage in Provence. Well then you are very much welcome to Provence ! Let’s go tasting the best products of Provence. In Provence we produce a lot of wine. In terms of quantity we are the 2nd wine territory in France after the North of the Rhône river area. So we produce more than Bordeaux, Burgundy, or Champagne. But we don’t enjoy the same fame. It doesn’t mean that our wines are less good. Because what is making a good wine is a the same time, the soil, the climate but above all the love a winemaker puts in its grapes. 1 hour from Marseille let’s visit some small wine producers and a couple Château in Châteauneuf du Pape. Châteauneuf du Pape village is specialized in red wine but also produces a delicious white. Next to Châteauneuf du Pape is Tavel. This other village just across the Rhône river is specialized in rosé. 45 minutes from Marseille let’s taste some Bandol red, rosé and white wines. Next to Bandol is also Cassis specialized in white wine. 30 minutes from Marseille delicious wines are produced around Aix en Provence. 60 minutes from Marseille let’s visit some small producers within the Lubéron Nartural Park or the Alpilles Natural Park. The cuisine of Provence, part of the Mediterranean cuisine, is healthy and delicious. 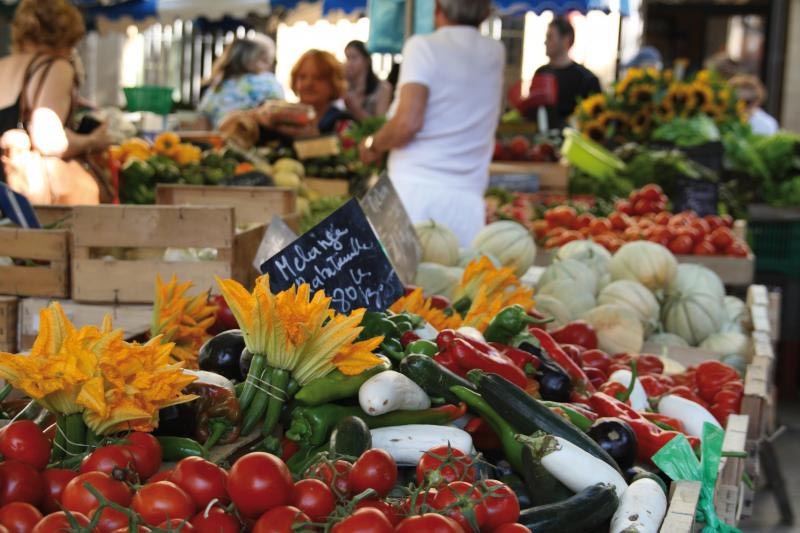 Let’s go to the villages of Provence where producers are offering food made with passion. Let’s taste some wild boar dry sausage, some bull stew cooked with red wine served with rice grown in Provence by the Camargue Natural Park. Let’s visit an olive mill and taste the best olive oil with the people who made it. Did you ever taste pigeon ? Well I really like it. It is better than duck ! Do you prefer fish ? Let me take you where you will eat the best Bouillabaisse, the traditional fish soup from Marseille. Let’s go away from the crowd within some of the most beautiful Natural Parks, Forests and villages of Provence. 1 hour from Marseille is the Lubéron Natural park. This is where to go to see the lavender fields from the beginning of June till the end of July. I highly recommend a stop by the village of Roussillon and a visit into the French Colorado Canyon also known as the Ocher Quarries. 1 hour from Marseille is the Alpilles Natural Park. This area is specialized in olive oil production. Let’s start our exploration in Saint Rémy de Provence and Les Baux de Provence. Then next to Les Baux de Provence is the village of Mouriès, center of the olive oil production. 1 hour from Marseille is the Camargue Natural Park. There tha last French cowboys are raising their bulls into the wildness of the Rhône river delta. Let’s vist a ranch together. 45 minutes from Marseille is the picture-perfect hilltop village of Le Castellet. Next to it the village of La Cadière d’Azur. Both hilltops villages are dominating the valley of Bandol vineyards. Bandol and Sanary are also 2 lovely fisherman’s port. 45 minutes from Marseille is the Saint Baume Mountain. In this moutain is the Grotto of Mary Magdalene. Let’s go for a walk in the forest to the Grotto of Mary Magdalene. I hope I could help you understand the variety of tours and shore excursions that Provence offers. Now it’s tie to make your choice. I am waiting to share the best of Provence with you.